Ralph G. Kendrick Dwarf Cypress Boardwalk | Florida Hikes! 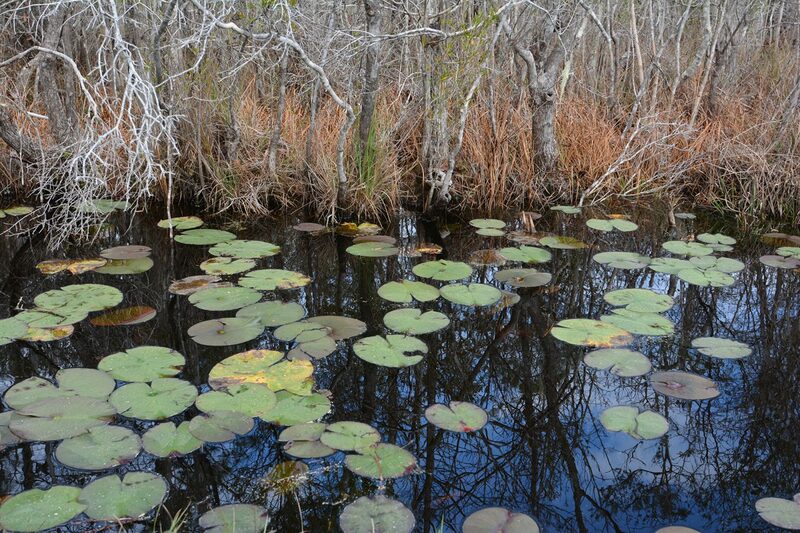 Why build a boardwalk in the middle of one of the most impassible swamps in Florida? 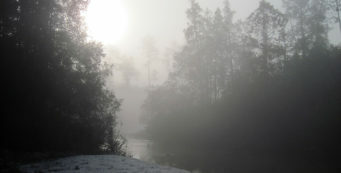 Along the Gulf Coast near Carrabelle, Tate’s Hell is well-known for being a wild place. Its name is derived from the legend of a lost farmer who vanished for a week in the wilderness only to find his way out and exclaim, “My name is Cebe Tate, and I just came from Hell!” Well, this boardwalk is there to document one of the stranger natural wonders of Florida, a stand of dwarf bald cypress centuries old and less than 15 feet tall. 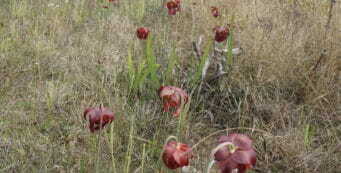 The road to this botanical site may be impassable after a heavy rain. Use good judgment in choosing to drive down this road without four-wheel drive. A low clearance vehicle may have trouble if the sand turns to mud. From SR 65 just north of US 98 between Eastpoint and Carrabelle Beach, follow the signs into Tate’s Hell State Forest High Bluff Tract. Take North Road past Cash Creek Recreation Area to its intersection with Dry Bridge Rd, turn right. The parking area is along Dry Bridge Rd past 42nd Road, 4.5 miles from SR 65, down a turnoff to your right. NOTE: These forest roads are barely passable by car. High-clearance vehicle recommended. 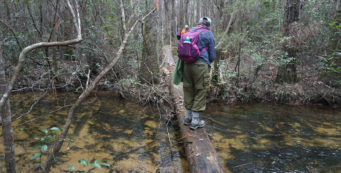 Download a map of Tate’s Hell State Forest to find your way to this offbeat site. 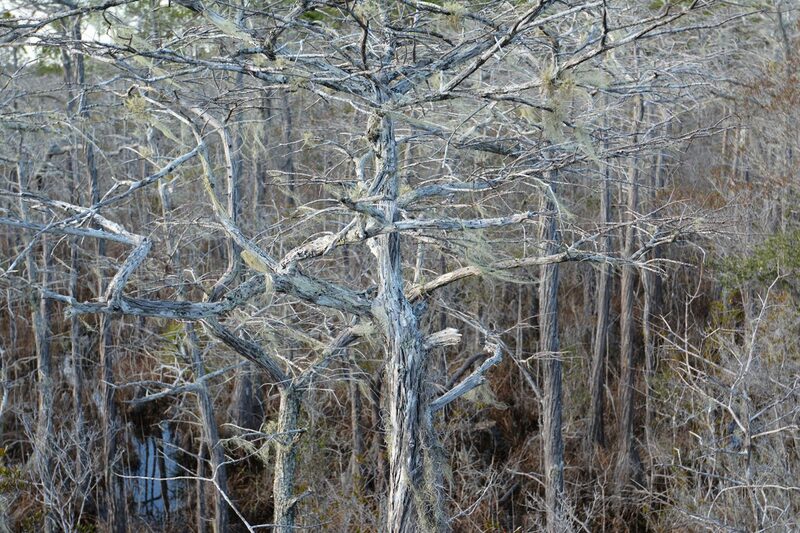 Perhaps the northernmost place you can see “hatrack” cypress in Florida, the haunting beauty of this spot is reminiscent of Rock Ridge in the Everglades and many parts of Big Cypress National Preserve. A unique bowl of ancient cypress in the middle of bayhead swamps and pine flatwoods, it’s worth the trouble to get there, and an observation tower gives you an eagle’s-eye view of the cypress swamp. 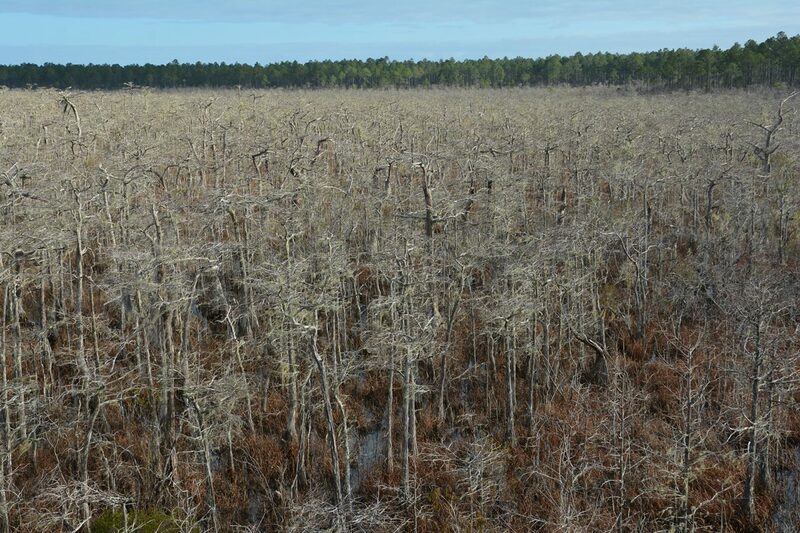 The swamp was ditched and drained for silviculture a long time ago. This basin persists. 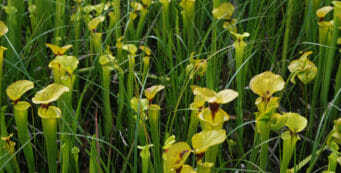 For more information about Tate’s Hell State Forest, visit their website. 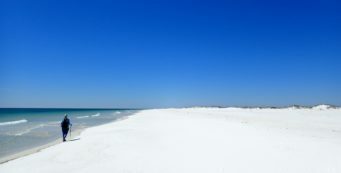 Tate’s Hell is also home to the High Bluff Coastal Trail, much more approachable as it’s along US 98.